"I love this character of Quorra so much and I've built her with Joe Kosinski and we took her such a long way from what was written to what we made. I mean, I fought for her to be this kind of androgynous child and that's so not what you typically see in these movies, so I'm so grateful that the producers let me play with her and make her this strange little being. And I'm really excited to see what happens to that character when put into the real world. I think it's an interesting concept. I'm fascinated by all discussions of AI, and especially now today and now with virtual reality becoming something that's like a personal device, I think it's the time to tell this story." "I think there's a lot of people really excited to make it happen within Disney and in the world, and we've been dreaming of making it since we finished Legacy so I would be thrilled. The delay has only ever been story, finding the right story. It hasn't been anything else. There's never been a time where we wanted to go and then schedules got in the way. It's only been like, 'That's not the right story.' So, in the past year, the right story kind of came together and we felt, 'Oh, this actually - this might be the right one to tell.' And, you know, there's still a lot to be done before it could actually happen, but the fact that there's a goal of this year to start is really exciting." 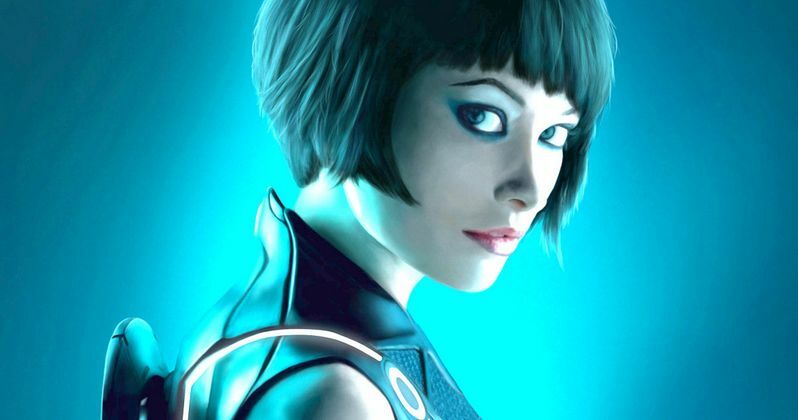 Olivia Wilde wouldn't reveal any more about the storyline, or talk about what dangers Quorra may face in the real world. She did say there was a script completed, and that she has read it. At this time, Disney has yet to officially announce Tron 3. But trust us, it's definitely happening. Are you as excited about it as Olivia Wilde?